The Angry Minnow is a craft microbrewery and restaurant in Hayward. It’s located in a beautiful brick building constructed in 1889 by – ironically enough – a lumber baron named Robert L. McCormick. It originally housed the offices of the Northern Wisconsin Lumber Company. The renovation to a brewery and restaurant was very well done and kept the historic nature of the building; from the dining room, you can look through windows at the basement brew house below. 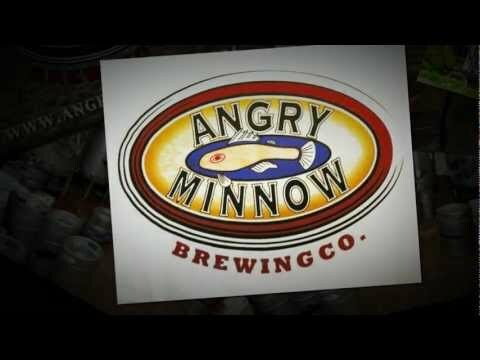 Angry Minnow-brewed beers include the River Pig American Pale Ale, Oaky’s Oatmeal Stout, Minnow Lite, Honey Wheat, and several seasonals including the Charlie’s Rye IPA, Tre Svends IPA, Nine Toe Doppelbock, and McStukie’s Scotch Ale. You’ll find the Angry Minnow – often fairly crowded! – just off U.S. 63 and Highways 27 and 77 near Hayward’s downtown.